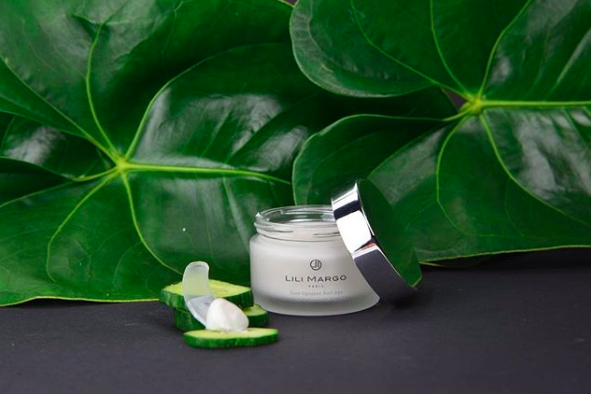 Lili Margo is the first brand of French natural cosmetics inspired by the harmony of a mother-daughter relationship. The brand has developed its care based on both the expertise of a mother and the modernity of a girl. Lili symbolizes all the purity, lightness and freshness of youth: it is its very essence. Assertive, bubbly, passionate and passionate, it is a young flower full of beauty that admires the presence and elegance of her mother, Margo. She is a modern and connected woman, who is particularly aware of the latest trends in care and informs her mother about new products. 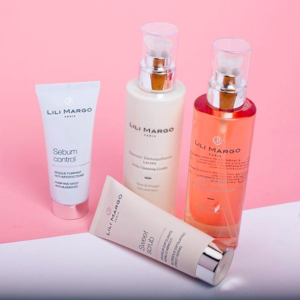 With the hard work of two young french entrepreneurs, Paul Chauveau and Gérard Mouradian, passionate about the world of beauty and cosmetics, the French brand Lili Margo was born in January 2017 and has since expanded its range and international presence in nearly a dozen countries like Mexico, China or Saudi Arabia, but also with a digital presence. Two years of studies were needed for the development of this first generation of products, both for women and men, validated by pharmacists and clinical studies. With a significant concern for respecting a proper clean origin for their raw materials, in order to reduce the risk of allergies, and thus a choice towards natural assets. 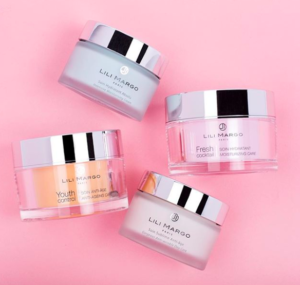 Continuing the great welcome to the public of the first range, the new Secrets de Lili (Lili’s Secrets ) beauty and skincare collection was waited patiently and received from its release of beautiful reviews. Particularly as to the complementarity of care between them but also about the assets involved in the composition of the Secrets de Lili cosmetics line. Indeed, after a focused market study, having analyzed multiple outlets, and trends in assets. The laboratory decided to opt, for example, for its mattifying masks, for the virtues of kaolin for the Sebum Control. The same size Sweet Scrub, made of apricot kernels, for cleansing the skin and reducing the altered pores (photo credits: LM). 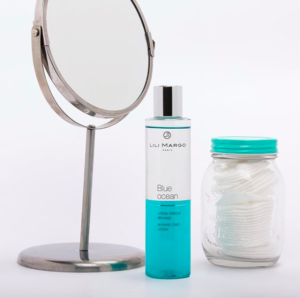 Another cleansing lotion, the Blue Ocean, the natural malachite stone which is here plebiscite for its trace elements and its antioxidant action, while acting, among others, against oxidative stress, within a deep skin cleansing. This two-phase tonic natural lotion, to shake and mix for a proper homogenization, for a refreshed and beaming tint for your skin, thanks to hydrating virtues. Among the other natural resources, and rather exotic in this instance, note also the use of cassava for the Youth Control cream, to be used to regenerate the skin, for a tightening effect without delay. 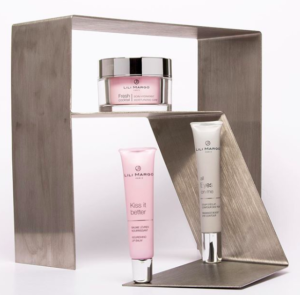 The pink so Fresh Cocktail, meanwhile, focuses on reactivating the production of melanin for optimal hydration of the skin. Did you know about the organic desoxine effects, derivated from the myrtle? 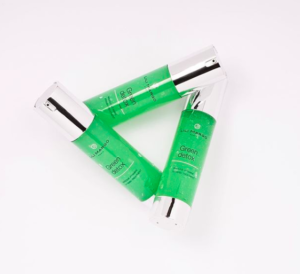 Included in the unique Green Detox gel mask, it contains a detoxifying action and it eliminates toxins, thanks to 3 steps, the massage oil, the cleansing milk, full of vitamins in a flashy revivifying green apple packaging. The pink Kiss It Better and the grey All Eyes On Me is a fine combination, one helping to reduce dark circles and puffiness around your eyes and the other gives freshness and brightness, after the first preventive care. 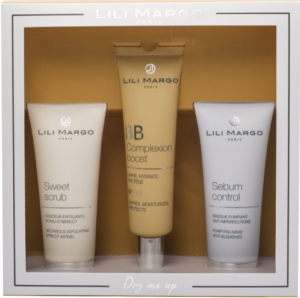 Because the beauty of a woman at any age is as precious and natural as that of a flower, the Lili Margo skincare line meets the needs for all generations and could also be found in 6 different thematic boxes, with poetic names like the fun baptism names of the traditional range, like this Dry Me Up box set. All of those could be ordered in the official Lili Margo website and in many drugstores, around the World. One last point, in order to expand its connection with fashion, Lili Margo associates with #LMicons ambassadors and still hires new influencers to contribute grounding a strong consumers community. Those get benefits in return of their involvement, like being a special guest, among other loyal clients, VIP and supports, to the new company’s biannual Fashion Week event, Beauty Meets Fashion. On the video below, you could enjoy the last ceremony, occurring under the prestigious top floor Coupole of the Printemps Haussmann. This Fashion Week soiree was the occasion to introduce the new Lili’s Secrets range and highlight the new creations of the famous raising French designer Sami Nouri, through a fashion show, sponsored by the Danish castellan Michael Linhoff, owner of the Château du Bois Guy eco-lodge close to Rennes. This cultural night also showed up two raising artists, the singers Lukas Abdul and Noemie hosting an emotional and entertaining live music showcase.